Prabhat Arya grew-up on the University of Delhi campus where he received his education (BSc Hons, MSc, MPhil, PhD, 1974-85). Following post-doctoral tenures (1985-89) with Professors Robert Corriu (Univ of Montpellier, France), Ian Paterson, FRS (Cambridge Univ) and Bill Chan (McGill Univ), he then joined the National Research Council of Canada, Ottawa and quickly climbed the ranks, and, worked with this organization for nearly 20 years. Later, he accepted a challenge to help the newly created institute, Ontario Institute for Cancer Research (OICR), to establish the Medicinal Chemistry Program. His long-standing quest to establish a Translational Chemical Biology Program that can stand at the international level, finally brought him to India in July 2009. He started his India academic journey at the Institute of Life Sciences (later, renamed as the Dr. Reddy’s Institute of Life Sciences), located on the beautiful University of Hyderabad campus. With an objective to building a novel chemical toolbox having small molecules that are more close to bioactive natural products, his team develops novel synthesis methods. Here the general goals are to develop methods that allow to access small molecules having some of the privileged sub-units of bioactive natural products and can be classified in the category of hybrid natural products. These compounds, in general, are having sufficient complexity to be easily workable in the drug discovery arena. In particular, his team is building a toolbox having a diverse set of natural product-inspired macrocyclic compounds. Some of the key sections of bioactive natural products that his team is working on include: eribulin, rapamycin/FK506, epothilone, radicicol and salinomycin etc. Through working in a close partnership with several biomedical researchers, this toolbox is then thoroughly subjected to a wide variety of cell-based and zebrafish assays in a hunt for modulators of Protein-Protein Interactions (PPIs) and signaling pathways. Over the years, his team has written several authoritative articles on the need to strengthen the advanced organic chemistry efforts for producing natural product-inspired chemical probes to explore their utilization in the signaling biology arena. To date, he has published 90 peer reviewed research articles, presented 130 invited talks and trained more than 55 post-doctoral fellows and several graduate and undergraduate students. During his tenure in Canada, he has served at various national and international committees dealing with grants and for developing science policies and has won several awards. Prior to his move to India, He was also an Adjunct Professor with Chemistry Dept, University of Ottawa, Biochemistry Dept, McGill University, Affiliate Investigator, Ottawa Hospital Research Institute (OHRI) and Member, Ottawa Institute of Systems Biology. 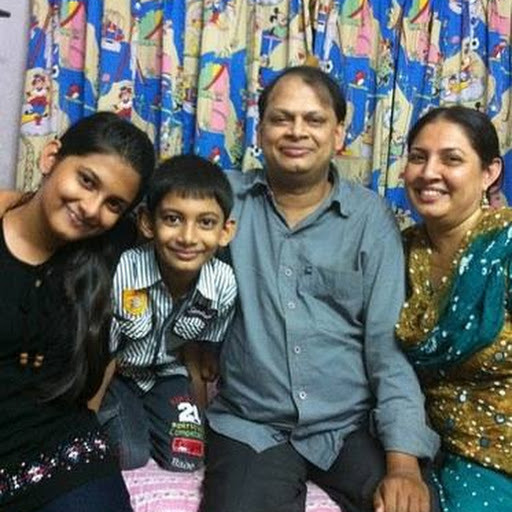 He enjoys spending time with his students, other team members, and, loves sharing his vision and research plans in India. Often, he can be seen cycling on adventurous Indian roads and is having a lot of fun while testing his on and off road skills. He is also keen on promoting the bicycle culture and the need to do a regular exercise to stay on top of the India hectic life! The Dr. Reddy's Institute of Life Sciences was conceived in the context of globalization, to foster research competence in India and to bridge the divide between academic research and the pharmaceutical & biotechnology industries. The institute was incorporated as a non-profit entity under Section 25 of the Indian companies act, facilitating operational autonomy. Construction of the DRILS building comprising 44 labs and an administrative block and spanning ~130,000 sq.ft. in area, began in 2004 and was completed in January 2007. The institute was inaugurated as a public-private partnership research institute on 29th January 2007, a culmination of the efforts and initiative of the Andhra Pradesh state government, Dr. Reddy's laboratories and the University of Hyderabad. The institute is located in the southeast corner of the campus of the University, one of the largest and greenest campuses in India. 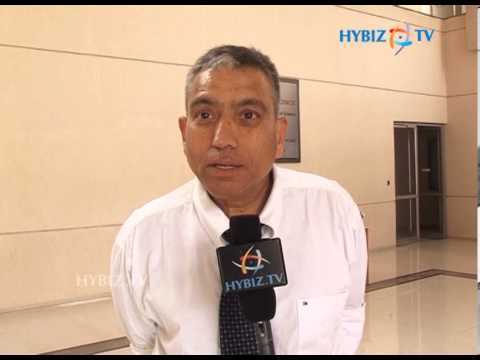 With an objective to moving beyond the traditional chemical space and to building a toolbox with small molecules that are more close to bioactive natural products, Dr Arya’s team is working in this area for nearly two decades. These compounds can be broadly defined as natural product-inspired and hybrid natural products. Over the years, his team has written several leading articles on the need to strengthen the advanced organic chemistry efforts to producing next generation small molecules to undertake challenging biological targets that are related to protein-protein interactions (PPIs) and, signaling pathways, in general. Dr Arya has trained more than 50 post-doctoral fellows, several graduate and undergraduate students on this topic and delivered 140 lectures at various scientific meetings and research institutions. During his academic tenure in Canada, he served on various NIH and CIHR and NCIC (Canada) grant panels and worked in the committees that were assigned the task of establishing large scale chemical biology research programs within US and Canada. 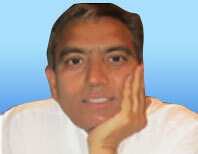 Prior to making an adventurous move to India in July 2009, Dr Arya was a Research Officer (at various levels) at the National Research Council of Canada (NRCC) for nearly 20 years and had a brief stint at the Ontario Institute of Cancer Research help building the medicinal chemistry program. In addition, he was an Adjunct Professor at Biochemistry, McGill University, Chemistry and Biochemistry, University of Ottawa and Ottawa Health Research Institute (OHRI). SignMod Pharmaceuticals Inc. is an Indian drug discovery company focused on the synthesis of natural product-inspired (NPI) small molecules which interrupt protein-protein interactions (PPI) and modulate intracellular signaling pathways. This class of molecules is the next wave of marketable pharmaceutical therapies for conditions of high unmet needs such as cancer, neurodegeneration, inflammation, diabetes/metabolic disorders, infections and cardiovascular disorders. SignMod has unparalleled synthetic organic chemistry technology with the ability to produce high bioactivity small molecule libraries currently inaccessible to big pharma. It is well recognized that numerous disease families including cancer, stroke, immune deficiency, neurodegeneration and diabetes involve intracellular signaling pathways that are integrated via multiple, dynamic protein-protein interactions. Disruption of these interactions using small molecules promises to create tremendous opportunities for developing new therapeutic approaches for treating these disease families. The company proposes to utilize highly specialized, unique capabilities in high throughput, diversity-oriented synthesis (DOS) in building a highly functionalized bicyclic to polycyclic and macrocyclic “natural product-inspired” small molecule toolbox. SignMod toolbox is unique, filled with compounds that occupy uncrowded chemical space due to their 3-Dimensional (3-D) natural product-inspired architectures, and they demonstrate superior hit rates (compounds with biological activity) versus conventional combinatorial libraries. My long-standing quest to establish a chemical biology program in India recently brought me back to my roots. I am thoroughly enjoying the challenges of establishing this program at the Dr. Reddy's Institute of Life Sciences, located on the University of Hyderabad campus. With the objective of exploring new chemical space, my research aims to develop novel methods leading to building a natural product-inspired chemical toolbox. Small molecules from my group are then subjected to a wide variety of evaluation programs in a hunt for chemical modulators of protein-protein interaction-based signaling pathways related to cancer, metabolic disorders, infectious diseases and neurological disorders. Over the years, we have written several authoritative articles on the need to strengthen the advanced organic chemistry efforts for producing natural product-inspired chemical probes to explore their utilization in the signaling biology arena. Synthesis of Natural product-inspired Macrocyclic Architectures and Hybrid Latrunculins. PhD degree awarded, University of Hyderabad, Dec 2014. PhD Thesis Title : Synthesis of Amino-indoline Based Macrocycles and Treprostinil Inspired Hybrid Compounds. PhD degree awarded, University of Hyderabad, Jan 2015. A Divergent Approach to Benzofuran-inspired, Macrocycles and Eribulin Fragment-based Hybrid Compounds. PhD degree awarded, University of Hyderabad, Feb 2015. PhD Thesis Title : A Divergent Approach to Tetrahydroquinoline-Based Macrocycles and Rapamycin Fragment-Derived Hybrid Molecules. PhD degree awarded, University of Hyderabad, March 2015. PhD thesis submitted, University of Hyderabad, Dec 2014. 1. C-Glyco-based Macrocyclic Diversity (published in Eur. J. Org. Chem. 2014). 2. Stereoselective Synthesis of Ansamycin-based Hybrid Macrocycles. Stereoselective Synthesis of Western Furan Ring Fragment and Related Macrocyclic Compounds. Sophie Quevillon, Dept of Chem, Univ of Ottawa (Aug 2003), MS Thesis: Toward the Diversity-Oriented Synthesis of Indoline-based Polycyclic Derivatives. Kamani Ilangasinghe, Dept of Chem, Univ of Ottawa (Jan 2005), PhD Thesis: Stereocontrolled Diversity-Oriented Synthesis of 2H-Benzopyran-based Natural Product-like Polycyclic Derivatives. Jean-Louis Brochu, Dept of Chem, Univ of Ottawa (Oct 2008), MS Thesis: A Modular Tandem Michael or Aza Michael Approach to Obtain Indoline Alkaloid-like Polycyclic Architectures. Shahriar Khadem, Dept of Chem, Univ of Ottawa (May 2010), PhD Thesis: The Development of Stereocontrolled Methods to Obtain a Diverse Set of Tetrahydroquinoline-based, Natural Product-Inspired Compounds. Lam Pham, Dept of Biochemistry, Microbiology and Immunology, Univ of Ottawa (June 2010), MS Thesis: Natural Product-Inspired Chemical Modulators of Protein-Protein Interactions: The Pursuit of Three Lead Compounds. Srinivas Chamakuri, PhD thesis awarded (January 2015), University of Hyderabad Thesis title: Synthesis of Amino-indoline Based Macrocycles and Treprostinil Inspired Hybrid Compounds. Shiva Krishna Reddy Guduru, PhD thesis submitted (Mar 2015), University of Hyderabad Thesis title: A Divergent Approach to Tetrahydroquinoline-Based Macrocycles and Rapamycin Fragment-Derived Hybrid Molecules. Bhanudas Dasari, PhD thesis submitted (Dec 2014), University of Hyderabad Thesis title: Synthesis of Carbohydrate-based Macrocycles and Epothilone Fragment-derived Hybrid Molecules. Mario Rios, Dept of Chem, Univ of Ottawa (2000-01), Hons Thesis, A novel approach to chiral, polycyclic ring derivatives from D-galactose. Benoit Seguin, Dept of Chem, Univ of Ottawa (2000-01), Hons Thesis, Toward the synthesis of dihydroindole-derived natural product-like compounds. Karim Mekhail, Dept of Chem, Univ of Ottawa (2001-02), Hons Thesis, Toward enantioselective synthesis of highly functionalized eight-membered ring natural product-like derivatives. Paul Czechura, Dept of Chem, Univ of Ottawa (2001-02), Hons Thesis, Towards an enantioselective approach to indole alkaloid-like polycyclic derivatives. Mathieu Parisien, Dept of Chem, Univ of Ottawa (2002-03), Hons Thesis- A synthetic approach to indoline-derived polycyclic derivatives having a β-amino acid functionality. Marc Lafrance, Dept of Chem, Univ of Ottawa (2002-03), Hons Thesis- Synthesis of benzofuran-derived natural product-like tricyclic derivative. Louis-Charles Campeau, Dept of Chem, Univ of Ottawa (2002-03), Hons Thesis- Tetrahydroquinoline-derived β-amino acids as novel scaffolds for diversity-oriented synthesis. Daisy Laforce, Dept of Chem, Univ of Ottawa (2002-03), Hons Thesis- Towards the synthesis of tetrahydroquinoline-based polycyclic derivatives with medium size rings. Charles Roy, Dept of Chem, Univ of Ottawa (2003-04), Hons Thesis- Towards the synthesis of novel macrocyclic glycosamino acids. Juzer Kakal, Dept of Biochem, Univ of Ottawa (2003-04), Hons Thesis- Towards the synthesis of medium size ring derivatives from carbohydrates. Hilda Antony, Dept of Chem, Univ of Ottawa (2003-04), Hons Thesis- Tetrahydroaminoquinoline-derived β-amino acid and β- amino alcohol as novel scaffolds. Jean-Louis Brochu, Dept of Chem, Univ of Ottawa (2003-04), Hons Thesis- A synthetic approach to indoline-derived polycyclic derivatives. Kassandra Lepack, Dept Chem and Pharmaceutical Sciences, Univ of Ottawa, 2007-08, Hons Thesis- Natural product-inspired chemical modulators of Bcl-2 family. Monica Wirz, Dept Chem and Pharmaceutical Sciences, Univ of Ottawa, 2007-08, Hons Thesis- The development of a novel cycloaddition approach leading to benzofuran-derived polycyclic architectures. Sheila Michel, Dept Chem and Pharmaceutical Sciences, Univ of Ottawa, 2007-08, Hons Thesis- Novel chemical probes of Bcl-2 and Mcl-1 for developing cell death modulators. Asna Choudhry, Biochem Dept, Univ of Ottawa, 2007-08, Hons Thesis – Natural product-inspired chemical modulators of focal adhesion kinase (FAK) pathways. The challenges of small molecules as drug candidates continue to attract the debate of global bio-pharma R&D industry. Late stage failures and narrowing pipeline has empowered small and medium discovery R&D companies with opportunities. Scope for innovation is very high, considering the inefficiencies and success rates. So drug discovery significantly influence the performance of bio-pharma R&D. Drug Discovery conference of BioAsia identifies India as an opportunity for global bio-pharma R&D, while investigating key trends of the industry for the benefit of participants. BioAsia identifies drug discovery as an important discipline as an ongoing opportunity to track scientific developments and promote collaborations. Dr. R. G. Micetich’s research career began in 1963 as a Research Scientist with R & L Molecular Research Ltd. (established by Dr. R. U. Lemieux). This company later became Raylo Chemicals Ltd. Dr. Micetich served as the Research Director (Pharmaceutical Research) of Raylo. During the period from 1963 to 1980 Dr. Micetich’s group was involved in pharmaceutical research and process development work in antibiotics and in NSAI’s (non-steroidal anti-inflammatory agents). This work produced a drug “Mofezolac” – a NSAI which is now marketed in Japan by the Japanese company “Yoshitomi”. Market ~ U.S. $60 million. 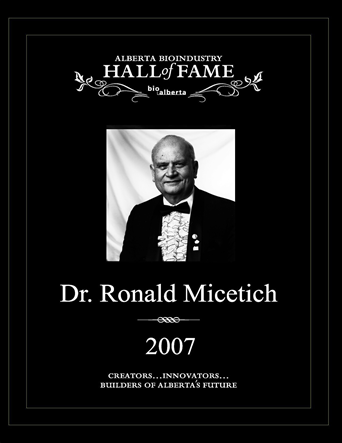 In 1980, Dr. R. G. Micetich joined the Faculty of Pharmacy, University of Alberta as an Adjunct Professor working on projects for international big Pharma companies. The work with Taiho Pharmaceutical Company in Japan has produced another drug – a beta-lactamase inhibitor – “TAZOBACTAM” which is now marketed worldwide. This drug now produces annual sales of over US$ 1 billion. In 1987, Dr. Micetich established a joint venture research company with Taiho, Japan called SynPhar. SynPhar had numerous patents worldwide in various therapeutic areas and many compounds and classes of compounds at various stages of development up to late preclinical. In view of the significant growth opportunities for SynPhar and in response to the changing international market place for pharmaceuticals, Dr. Micetich acquired and transferred all the assets including intellectual property, equipment and fixtures from SynPhar to NAEJA Pharmaceutical Inc. in 1999. NAEJA is a private Albertan company, founded by the Micetich family which from an initial staff in August 1999 of 40, has grown to 130 and is still growing. NAEJA is a completely self-supporting private company with no venture capital, nor private, nor government funding. The majority of NAEJA employees hold Ph.D.’s. NAEJA has collaborative agreements with pharmaceutical companies around the world. Based on its own intellectual property, NAEJA also has a number of co-development agreements with biotech companies worldwide. Dr. Micetich laid the seeds of foundation for NAEJA and the company continues after his passing, building his legacy. Dr.Muhammed Majeed with Dr. Ronald Micetich, CEO, Naeja Pharmaceuticals, Edmonton Canada’. Fedora Pharmaceuticals has developed a family of beta-lactamase inhibitors designed to have activity against pathogens containing all four classes of beta-lactamases. These promising novel beta-lactamase inhibitors, used in combination with various beta-lactam antibiotics to treat those antibiotic infections currently resistant to therapy, have recently been licensed to Swiss-based pharmaceutical giant, Hoffman La Roche Ltd. in what is being touted as one of the largest biotech licensing deals ever signed in Canadian history! Fedora Pharmaceuticals in Canada and Meiji Seika in Japan, with shared world-wide rights, have teamed and jointly entered into this significant tripartite agreement with Roche. Under the terms of the agreement, Roche will obtain exclusive rights from both companies to develop and commercialize the agent worldwide excluding Japan. Fedora and Meiji will receive from Roche; an upfront payment, development, regulatory and sales event milestone payments in addition to royalties on sales of products. While the details of the amounts have not been disclosed a total deal value of US$750 Million in addition to royalties has been announced. Fedora was founded in 2012 and is headquartered in Edmonton, Alberta, Canada. NAEJA Pharmaceuticals Inc. is a privately controlled pharmaceutical CRO specializing in early stage drug discovery research with particular expertise in the area of Medicinal Chemistry. NAEJA employs highly skilled PhD scientists recruited from around the globe. The company boasts a very long and successful track record of rapidly advancing drugs through discovery into the clinic. Several drugs in latter stages of clinical development and on the market today have originated from NAEJA. Most recently is Fedora Pharmaceuticals US $750M licensing deal to Hoffman La Roche Ltd that originated from the laboratories of NAEJA. As a privately controlled company, NAEJA are very responsive to client’s needs offering many years of drug discovery experience to successfully find ways to advance research programs in a timely, cost effective and efficient manner. NAEJA’s longstanding track record is a testimony in itself! BIG TEAM Hernandez, front row, fifth from left, poses during a research meeting at Naeja’s headquarters.